ps about Goong:Yes, Goong was soooo LENGTHY omg...I watched like 10+ episodes and all the time it was like... YEH fooling around in the freaking castle and looking for her darn prince. It seems like the tempo is SOOO SLOW with nothing happening but boring palace life. 1) FATED TO LOVE YOU (Taiwanese). For me the best!!! I have laughed a loooooottttttt, the music incredible, the actors so funny, the story perfect, the dialogues and the situations very well made....etc etc I would watch it over and over again. 3) HANA YORI DANGO (Japanese). I love it!!!!! 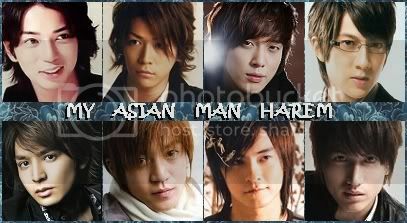 4) ZETTAI KARESHI (Japanese). Very moving story. Well it depends on which effect you want. Do you want like "it´s so sweet and lovely etc." or "life is something you have to cherish; I´m so happy to be alive" ? I don´t know any of this first kind, but for the second effect then "1 litre of tears" ("Ichi rittoru no namida") is the best for that, even though if you watch it - be ready to cry!!!! But still after you have watched it you feel that "life is beautiful. I am alive and that´s something beautiful itself." 1.) CITY HALL - Kim Sun Ah and CSW made politics the best ever on screen. this story is one UNIQUE STORY prob nothing you've evver watched before!.makes you feel that there are people out there who cares. you will fall head over heels. trust me if you dont watch this you are missing a graet oppurtunity of a wonderful 2009 drama! MY PICK FOR BEST 2009!. IT'S A ROLLERCOASTER of emotions.! the characters are SO REAL! a must see! 2.) My Lovely Kim Sam Soon- i dont have to say anything about this! we all should KNOW!. but i will anyway i think this drama is the turning point of dramas ever made!. Kim Sun Ah beautifully portrays the other side of women! NATURAL BEAUTY, it's okay to be big and beautiful !. we cant say we dont love her in this ! esp with Hyun Bin. it's all the more better! 3.) My Girl- LEE DA HAE! just amazing! character, plot and everything is just one humble road!. A MUST! 4.) Full House- though it's the typical love story. the characters really made it interesting just to chill and watch it through! 5.) Go Karl! i think thats wat its called!.. it's an amazing comedy !. you will totally enjoy it!. the actors are so brillant! i have many more but if i were to watch one right now it would have to be of course "CITY HALL"
I only like to watch Jdrama and Kdrama.. I would be thankful for your recommendations. I enjoyed Bara no nai hanaya and Around 40 very much. Any recommendations what to see next? 2. Hanazakari no Kimitachi e - SERIOUSLY! you're gona love the whole cast, and that's what i loved most about this drama. It wasn't just about the leads but EVERY SINGLE one of em =) Most hillarious drama I've ever seen. 6. Goong - set is wonderful, again unique plot. 7. You're Beautiful - If you want some FRESH new faces, you're gona love this =) The young leads are awesome. It's so kawaii. Eye Care Needs? from contact lenses to reading glasses we got e''''m all! click here! My favorite JDrama. Nagase Tomoya is a genius, my favorite actor - he's so funny, charming and endearing. A virtuoso performance as a 27 year old Yakuza who has to return to high school and keep his Yakuza roots secret from his classmates. The cast is very good with Koki and Yuya, as well as Aragkai Yui and Kashii Yu (of Death Note fame). Yamapi puts in a great performance as Kurosaki, a young man who's goal is beat swindlers/con-men at their own game. Another great performance by Nagase Tomoya, again as a Yakuza. It starts off slow with the first few episodes introducing the characters but as the series goes on you grow attached to the characters. A very charming and funny drama, that will definately make you laugh. If you haven't watched it, you can't call yourself a JDrama fan. An absolute must! Great cast and chemistry. So very funny and great acting. Great if you're into drama's based aroung school-kids/teenagers. Another great performance by Tomoya, in his earlier days. Yamapi is good in it too. Very fun and entertaining. Great performances by Yamapi and Keiko make this a very fun romance-based drama. Others include; Densha Otoko, Dragon Zakura, Mr. Brain, Galileo, Tatta Hitotsu no Koi, Akihabara@Deep, Stand Up! the brink of law is my fav!! I know it's not so much a drama as it is a movie, but has anyone seen the 20th Century Boys? Is it worth watching? I was also wondering how Samurai High School was. 1. Autumn's Concerto - It moved me. Wasn't a comedy romance. It had a serious side. Vanness was very convincing in his part. Made me cry. 2. Mars - same deal. Serious. I cried. 3. Tokyo Juilet - Thought it was cute though the arguing between Liang and Sui got a bit annoying. Soundtrack is great. 4. Love Contract - MIKE HE!! 5. Bull Fighting - MIKE HE!!! He was great in this. Another god soundtrack. 1. Autumn's Concerto - Ady and Vanness have so much chemistry and Xiao Xiao Bin is so adorable. The storyline is great and addicting. 3. Hana Yori Dango- First J-Drama that I really got into. The story was interesting. What is Autumn's Concerto all about? Oh no. I haven't been aware of the new dramas. I should get back on track. I finished the j-dorama "Satorare" yesterday. It's the best drama i watched since a couple of month. It's from 2002 and i can certainly recommend it !!! cereal_killerxx wrote: I know it's not so much a drama as it is a movie, but has anyone seen the 20th Century Boys? Is it worth watching? i saw the first two parts so far and till now it was ok. the plot is sometimes really confusing and i missed the red thread. the cast is brilliant. I am sure I have more but these are only ones I can remember at the moment. My type of show, Can u recommand? I just watched You're beautiful. korean drama. GOSH its A-Wesome max! it reminded something like the Hua yang shao nan shao nu (chinese) show. where a girl plays a guy ..
hmms.. also one more, any drama which has "shonen-ai or Shojo ai" ? (most likely anime fans would know what this means) its like "boy X boy or Girl X girl" drama To be more strightforward like gays or lesbian. i dont mean it in a sexual way. Theres a scene on You're beautiful. The part where Tae kyuang brought Ko minam to a sushi store and explain to her what FAN FICTION is. and at the same time Jeremy was reading a fan fiction post on a love triangle btw jeremy , shin woo and taekyung... something like that. Re: My type of show, Can u recommand? Hanazakari no Kimitachi e (also known as Hana Kimi) - there a girl enters all-boys-school as a boy. ^o^ Really good jdorama! Kame is brilliant in this one. very fresh and funny, the story is great from the beginning to the end. I was sceptical first, thought it would be another stupid love story, but it really isn't. I laughed so much through the whole show. Every episode is so damn watchable and cute and funny to bits. Especially Itou Atsushi as main character is brilliant. Last edited by Yukinon on May 10th, '10, 15:02, edited 1 time in total. Kdramas - World they live in, Prosecutor Princess (awesome! ), Harvest Villa, Capital Scandal; 9 End 2 Outs (like so much)! Tw - Black&White, Autumns Concerto. KDramas : Delightful Girl Choon Hyang, Goong ,Heading to the Ground ,You're Beautiful . TWDramas: Corner with love , Romantic Princess . These are all japanese unless otherwise stated (k). It was actually tougher than I thought... to pick my favourites. There were a lot of dramas I adored but didn't actually make it to this list, because other dramas surpassed them. Looking for romantic dramas in the style of Hotaru no Hikari and Pasta - no melodrama and mostly from the woman's pov. I'd like if it centered around a smaller cast too and if all involved are adults. But really, little to no angst or melodrama as I don't really have the patience for it. Last edited by Asii on Sep 23rd, '10, 20:24, edited 1 time in total. ★.•°☆ Ceck out this awesome page for awesome drama reviews and find the perfect drama for you! Last edited by emmers on May 31st, '10, 17:26, edited 1 time in total. I wanted to watch Hot Shot some day, but what made you not like it in specifik? 1. Coffee Prince (K)- Best drama yet, perfect. 2. Nodame Cantabile (J)- Encore, encore, encore. I could go on, Change (J) and Harvest Villa (K) should be in there someplace. I will say that 1 & 2 are set in stone, they are above the rest. Wish they would never end. Asii wrote: I wanted to watch Hot Shot some day, but what made you not like it in specifik? Yeah, that's pretty much the same reasons I didn't like RP. With Hot Shot, I watched it for Wu Chun and he's hardly even in it, the storyline didn't really end up making me like any of the characters besides Show Lo's, I'm not that crazy about basketball, and the ending was random and abrupt. It wasn't a totally awful show though, it had its moments, just not enough to keep me interested. I was hoping you guys could give me some recomendations, you've never failed me in the past. I am looking for recently released/ 2009-2010 dramas. Or tell me your all time fave romance dramas. Dramas I have watched so far (I haven't watched many) are Koizura, Lovely Complex (movie), Hana Yori Dango, Hana Kimi, Zettai Kareshi, Kimi wa Petto, Samurai High School. I'm sure there's many better dramas then these. As you can see I love dramas which involve romance, possible comedy (doesn't have to be), possible school life, revolving around relationships ect. No fantasy please. Also, what are some good dramas that have recently finished airing or are airing soon/now? I mainly watch Japanese and Korean dramas, hopefully these reviews of mine will help you a bit. Honestly I haven't found a very recent show that I loved, though - I think the most recent show that I've seen that I can highly recommend is You're Beautiful. Atashinchi no Danshi (2009 Japanese drama) 3/5 - A homeless girl is taken in by a rich toy company owner, under several conditions: she must marry him, and then she must bring his family together. Mainly a zany comedy similar in style to Hana Kimi (it has same production team and some of the same actors, including Horikita Maki), though more about family than romance or anything else. Funny at times, but too cheesy at times to be actually moving. Massugu na Otoko (2010 Japanese drama) 3/5 - A straight, honest man tries to tame an unscrupulous woman ends up changing his own way of life and falling for her. I didn't really connect with the characters in this one. Mei-chan no Shitsuji (2009 Japanese drama) 4.5/5 - Mei suddenly discovers she's an heiress to the Hongo family fortune and is thrust into a rich girls' High School where everyone has butlers. Rihito serves as Mei's butler, and although there is a rule that forbids them falling in love with each other, they do anyway. Extremely silly as many Japanese comedies are, but fairly well acted too. Yamato Nedishiko Shichi Henge (2010 Japanese drama) 4/5 - Live-action version of The Wallflower (Perfect Girl Evolution), this comedy is has some very eccentric characters, but not too much character development or romance. Good for laughs, though. Personal Taste (2010 Korean drama) 4/5 - A young architect pretends to be gay in order to move into a house owned by a somewhat lazy, unfeminine lady because the house is vital to winning his next project. He becomes her "best gay friend" and tries to teach her to be more ladylike while protecting her. The plot was not very original, and not as many funny moments as you would like, but there's enough cute parts in it that if you haven't watched too many other Korean romantic comedies, it's worth watching. Prosecutor Princess (2010 Korean drama) 3/5 - A rich, spoiled girl is forced to become a prosecutor by her dad. The acting was good but the plot was too predictable for me (maybe on purpose? ); there's a plot twist that gets foreshadowed early on and over and over, and the end turned too melodramatic for my taste. Take Care of the Young Lady / My Fair Lady (2009 Korean drama) 2.5/5 - A former gigolo and poor guy into an accident with a rich, sheltered lady who was driving recklessly. Eventually he manages to become her butler, convincing her grandfather that he can change her while personally believing that he can scam her out of money, but instead he realizes that there is more to her than her cold exterior. I liked the acting and the chemistry between the leads, but the plot wasn't deep enough, and there wasn't enough comedy or character development outside of the romance. The Woman Who Still Wants to Marry (2010 Korean drama) 4/5 - Younger guy/older lady pairing, early on the lady is hilarious when she's acting crazy, but it drifts into more drama-mode by the middle episodes, turning into a straightforward drama/romance focusing on the relationships between the various characters in the story and the issues with their families and workplaces/co-workers. You're Beautiful (2009 Korean drama) 5/5 - A sweet, naive nun agrees to pretend to be her popstar teen idol male twin for a month in order to help find their long lost mom. And basically everyone falls in love with her. It's very childish and sweet, and despite some of the weird or unexplained parts of the story, I highly recommend it. Follows the Korean romance drama formula, but the acting and production are superb, especially the music (which makes sense since one of the side characters is portrayed as a music producer). Plus, unlike in some other Korean stories, there's no melodramatic super-evil character out to get them - so it's just about their relationship and the struggles they face, leaving it more full of sweeter moments. A clumsy, un-hygenic girl interferes with an arrogant musical genius's closed and clean life, and hi-jinx ensue. Sometimes over-the-top, I preferred the anime a bit better, but this one was still excellent. All the characters are great and although the chemistry/romance between the leads is tough because their personalities are so different, it showed their development well. This drama has a fantasy element (a church fairy/spirit that sends the main character back in time to fix his regrets over not being honest about his love for his childhood friend, who's getting married to someone else), but really it's more like watching flashbacks about high school and college from his perspective, and seeing all of the effort that he has to make her realize how much he loves her. Both characters are very restrained and reserved, so you don't see much romance on-screen, but you feel their emotions for sure. A cheerful tour guide who's adept at making up lies agrees to impersonate the long-lost grand-daughter of a rich hotel owner for money. The chemistry in this one was really good, and the comedy was great, although I would have liked even more of those silly random parody moments that occur during the series, and the ending was a bit frustrating to bear. If you don't mind animated series, I'd also check out Toradora (2008 Japanese anime) which is a high-school romantic comedy. HYD and Hana Kimi are also good examples if you ignore the plot. Kurosagi if you ignore the acting. The type of plot I like... Well, I loved My Lucky Star. Black and White too... But most plots are fine, as long as they're not too far-fetched. Anything to do with gangs is good as well. These are only some of my favourites. Specifically, historical drama that has an emphasis on a cute or epic sort of romance (I recently had this amazing dream in which I was in a wuxia sort of setting; I won't get into details, but ever since I had been craving for a historical drama!). I don't mind if it's Chinese, Korean, Japanese, etc., but I would like to see a nice, serious, one. Also, it would be nice if it was really, how do you put it, beautiful? like the scenery and quality of film... I'm not sure what it's called, but anywho- I'm really new to historical drama; I've seen some episodes of Princess Returning Pearl (sorry If that title is wrong) but although I liked the story, I'm afraid it was a bit dated for me, in terms of when the drama was made. So, well...thanks for replying beforehand! I'm a huge fan of the taiga dramas which, for the most part, are lavishly produced and the writing, in both dialog and story line, are as good as television gets, by whatever standard you'd care to use. The two links provided are my favorites as far as your request is concerned. I don't know how historically accurate the character portrayals are, given the time they lived in, I'm certain that embellishments were required to flesh out the story, but I found them enormously enjoyable. The use of absolutely first rate actors and actresses certainly didn't hurt. The fact that they are real people who made an impact in one of the most turbulent and interesting times in Japanese history doesn't hurt either. I can't recommend these too highly. Enjoy. i don't mind if it's japanese or korean or anything else,just to be something good. Can someone recommend me some dramas to watch. Although all I've seen are J-Dramas I'm not fussy where they come from. I've seen and enjoyed Life, Last Friends, Atashinchi no Danshi, Bloody Monday, Kurosagi, Aishiteru, Binbo Danshi, Kekkon Dekinai Otoko and Attention Please. It's a bit of mix but is anyone able to recommend me some dramas to watch. Others good: sunao ni narenakute [it's like last friends] liar game,maybe gokusen,code blue [great medical drama]. That's great thanks. I will definately give them a try. I had watched the first couple episodes of Code Blue before I don't know why I never finished it. Can anyone recommend me dramas similar to these, Flower over Boys, Secret Garden, Coffee Prince. Either male or female is rich and other partner is poor. 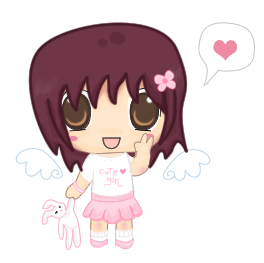 Hana kimi,You're beautiful or My Girlfriend is a Gumiho. evilmechy wrote: Either male or female is rich and other partner is poor. A Millionaire's First Love,but it's a movie. Hey peeps! I've been out of the loop for a little bit, the last dramas I watched were Coffee Prince, Last Friends, Dal Ja's Spring, Mars.. around that time..I'm wondering if anyone could recommend some NEW K or J dramas that are funny, with romance and not about high school kids (I'm okay with college age recs). Hi, I'm looking for a drama which is somewhat "Life-altering" or just makes you think about life in general, I've watched 2 Japanese dramas by the names of Great Teacher Onizuka and Nobuta Wo Produce, and loved them both; as they didn't only focus on one genre, I tend to like the 'high school' theme, but all suggestions are welcome, So guys, recommendations? try Gokusen 1,2,3 there so many life-atering value there.. should try to watch Hanazakarino Kimitachi-e "Ikemen Paradise" or shortened by Hanakimi..
Hey guys! Do you know any Asian dramas about art schools or art in general? I've seen Honey & Clover, Dream High, Festival/Heartstrings/You've fallen for me. Ladies and gentlemans. Can anyone recommend me dramas of maked 1980-1992 and fully translated. I was recently watch Sukeban Deka 1 and I'm at 80's / early 90's drama mood now. Thanks and best regards.